Capriccio Cafe specializes in gourmet coffee, pastries, crepes, sandwiches, and salads. Our coffee, meats, and cheeses are imported from Italy. We are a locally owned Italian Café in the heart of Destin, Florida. 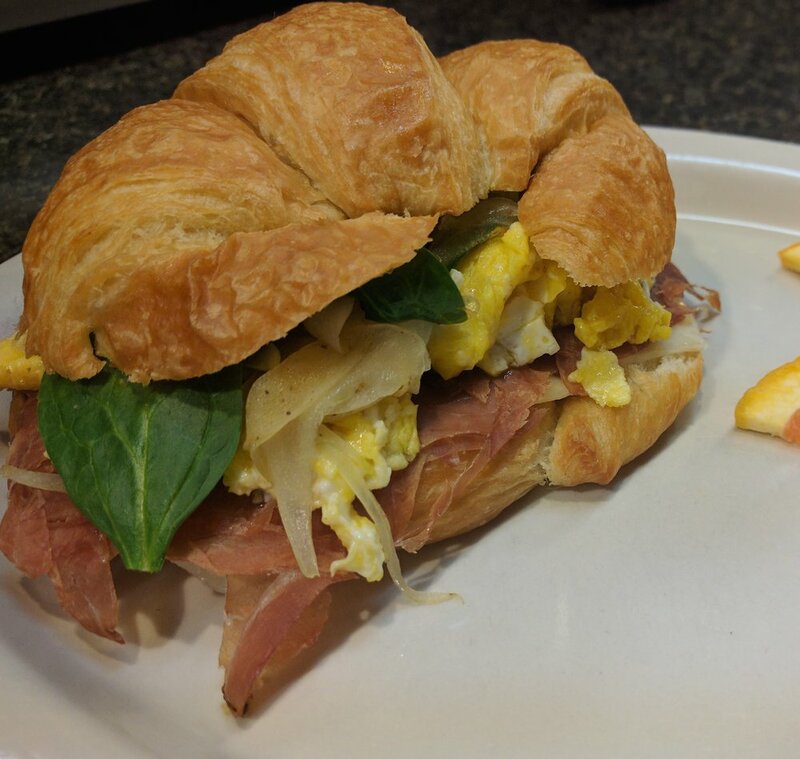 We specialize in gourmet coffee, pastries, crepes, sandwiches, and salads. Our coffee, meats, and cheeses are imported from Italy and our owner is from Milan. Our café is the perfect environment to relax, study, or meet with a friend. Come join us any day of the week for breakfast OR lunch. In True Italian Fashion, The Atmosphere Is Friendly, Fun and Relaxed. We Want You To Enjoy Great Coffee, Great Food & Great Friends. Come For An Hour Or Hang Out All Day. We are a locally owned Italian Café in the heart of Destin. We offer healthy gourmet sandwiches with specialty meats and cheeses. Our coffee is of the finest quality straight from Italy. Come enjoy some of our famous crepes for breakfast or a delicious salad or sandwich for lunch. Owner Marco Sironi has brought the taste of Italy to Destin, Florida. We hand-brew our imported Italian coffee daily. Our espresso is divine and our cold coffee carries an extra kick since it’s brewed cold from the start. Come for breakfast, lunch, or dinner and enjoy our cozy environment with free Wi-Fi. Our coffee shop is a great place for your next meeting or meet up. You will not find this coffee and food anywhere else in the area. Capriccio Café imports all its coffee, meats, and cheeses from Italy. We also serve salads, sandwiches, and warm Italian breakfast. Everything we serve is of the finest quality and taste. Look no further for a perfect cup of coffee just the way you like it. Life is too short to settle for anything less than the best. Our staff will work to make your food and drink exactly what you desire. If you seek the highest-quality coffee, with bold flavor, made to perfection by professional baristas, come to Capriccio Café. Marco was born and raised in Milan, Italy and moved to the US in 1992. He brings with him the Italian passion and love for great food and incredible coffee. This love is apparent in every menu item and cafe selection. Danny is originally from AZ and has been in the restaurant industry for over a decade. He is the head coffee master and cook at Capriccio Cafe. He adds just the right touch of his southwestern latin touch to the Italian menu. He's always here...and he's always smiling! Kyler is originally from Iowa. He is the one who preps, prepares, and cooks. The “Kid” as Marco likes to call him. Come and enjoy some yummy crepes.